YXL West | What is YXL? YXL (Youth eXcelling in Leadership) is a network of summer conferences for Christians age 15-18, focused on developing their gifts as leaders as they follow Christ. YXL West in Colorado serves the western states (but you can come from anywhere). Our conference is a full seven days. You’ll learn truths and skills that apply in every area of life, but our core mission is giving teens a vision for the church and their vital role in it. We want to prepare the next generation of servant leaders who form the backbone of the church, wherever the call of God may take them. Central to our approach is assessment. Students work together in leadership teams of 8-10 throughout the week. A male and female counselor participate with and observe the students during games, exercises and discussions. At the end of the week, the counselors sit down with each student to give them feedback on the leadership characteristics they saw during the week, and encourage them in places where they can further their gifts and grow in their walk with Christ. YXL is often the first time a student receives this sort of attention and feedback. Many don’t see themselves as leaders in the traditional sense. By the end of the week, their view of leadership and of their own gifts often changes radically. 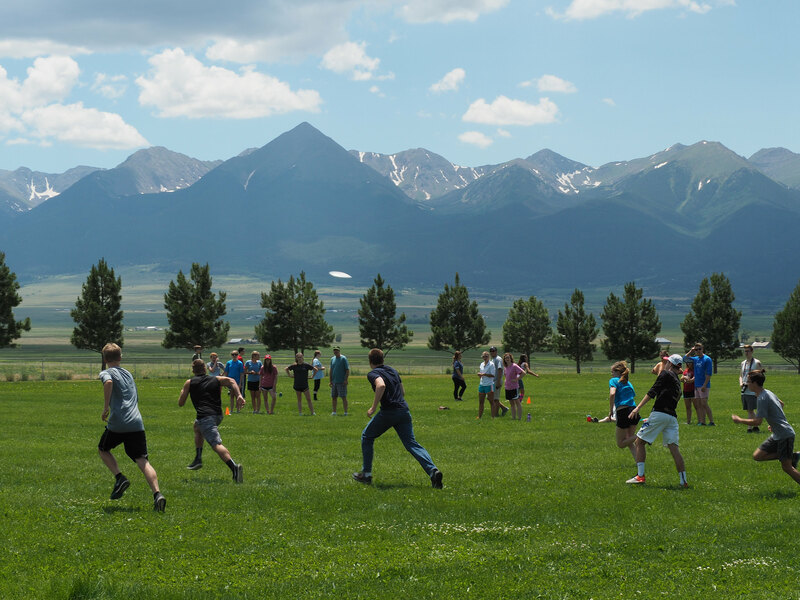 How does YXL pursue its mission of Christian youth leadership development? Students work together in teams of 8-10 (half guys/girls). Each day they participate in leadership challenges, games and group discussions together. We begin and end every day with corporate prayer. Each evening our main speaker preaches on the theme for the week. Several students help lead worship under the guidance of our worship leader. In the morning students participate in seminars which teach practical aspects of faith and leadership related to the week’s theme. One of the seminars focuses on helping students identify and understand their own personality and giftedness, and to consider how God would use their gifts for the church. In the afternoon teams take part in all sorts of leadership challenges and games. In the first half of the week we focus more on community-building activities. As trust and teamwork grows, we turn up the heat a bit; putting them in situations where they are more likely to experience failure or conflict. Each time the teams have a chance to pause, reflect and learn. Tuesday is usually our day for a special activity – students can choose from one of three or four outdoor adventure options. Youth groups meet near the end of the week to consider how they want to take the things they’ve learned back to their church. On Friday morning students meet individually with their counselors for assessment and prayer. We celebrate God’s grace to us during the week with a banquet Friday evening, followed by our final worship service and communion. The YXL experience doesn’t end here though. The friendships built during the week at YXL last. Thanks to Facebook, Skype and other tools, we continue to encourage and pray for each other throughout the year. YXL was started in 1976 by a group of pastors who had attended seminary together and had a vision for a reformed youth leadership conference where their own kids could learn and grow. Several of them had attended summer camps at Horn Creek before, so it was selected as the first site for the conference. Originally called the “National Presbyterian and Reformed Youth Leadership Conference,” the name was changed to “Presbyterian Youth in America” in the late 80s and then to YXL in the early 2000s. You may still hear some people refer to it as PYA. YXL West is a ministry of University Presbyterian Church in Las Cruces, New Mexico. YXL operates as a network of regional conferences under the guidance of the Committee on Discipleship Ministries (CDM) of the Presbyterian Church in America (PCA). You don’t have to be part of the PCA to attend YXL. The conference is open to christian youth from other denominations. You should be aware that we teach from a reformed doctrinal perspective.